*Burglar crews identified via LPR and some arrested on re-entering the area. We are now generating a wealth of information such as the above whereas we would otherwise have very vague descriptions of what to look out for. 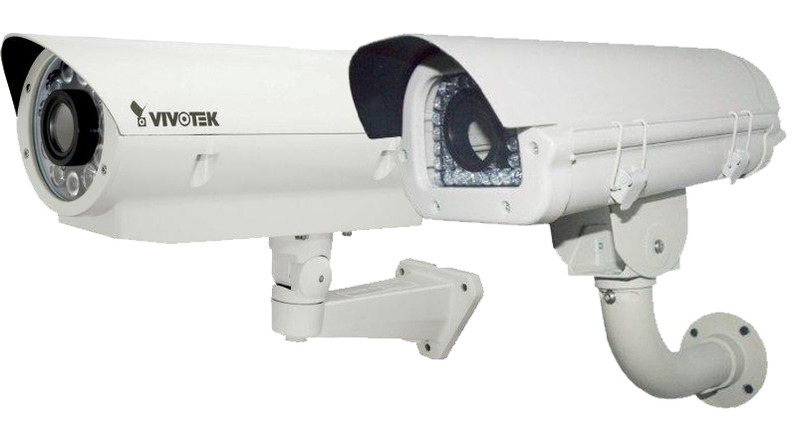 This information is also shared with the other LPR Camera users across the greater city area allowing for a mammoth pool of information. Making us all work a lot smarter! This YOU TUBE VIDEO will show you exactly how the entire system works. Watch this video THIS VIDEO to see what happened when an sms alert went out to the response team of another neighbourhood watch. Here is some important information so you know all the ins and outs and see how this will be a valuable tool to fight crime more effectively. DPVwatch is continually raising funds to maintain and boost the system! New technologies like cloud functionality are continually evolving. Neighbouring suburbs are driving their LPR projects forward. We need your help to realise the potential of this technology! Thanks to all the residents and Body Corporates who have already made a valuable and greatly appreciated contribution. 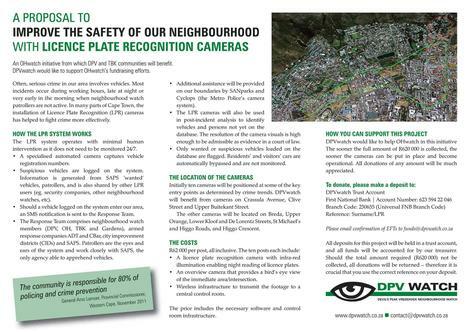 However we need all of our community to mobilise against crime best we can. OHwatch raised close on R800k and TBKwatch are well on their way to R900k. Our tally has only just reached R185 000. We need to add value as best we can! Please consider supporting this very important initiative. Please note: we have removed our banking details from this site due to security reasons. 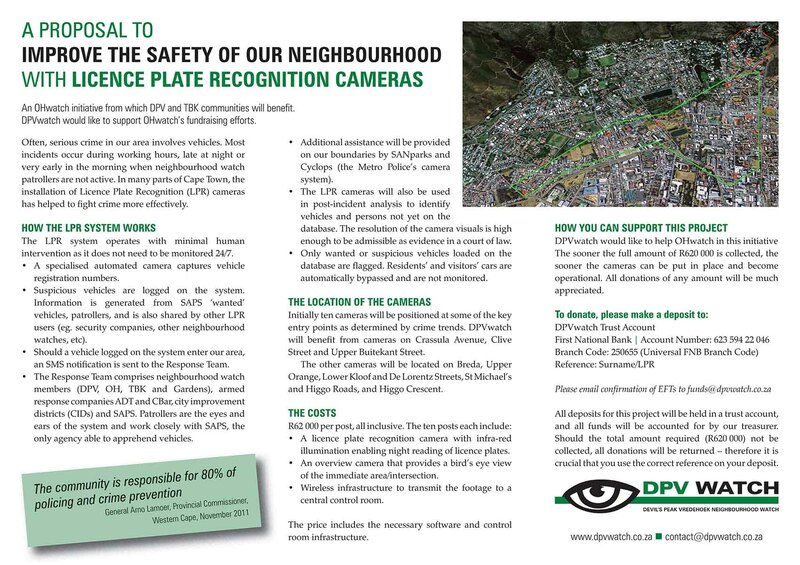 DPVwatch is asking residents and Body Corporates to consider financial assistance for the introduction of a Licence Plate Recognition (LPR) surveillance system in the City Bowl area. This project, from which our area will benefit substantially, was spearheaded by OHwatch (Oranjezicht/Higgovale).